Ann an 2013, chaidh alt fhoillseachadh leis a’ BhBC a dh’agair gum biodh neach às gach deichnear ann an Innis Tìle air nobhail fhoillseachadh rè am beatha. B’ e ‘naidheachd bhreugach’ a bha sin ceart gu leòr, ach tha e iongantach an àireamh de leabhraichean a chuirear an clò anns an aon dùthaich mheanbh sin. A’ cleachdadh dàta bho 2010, thèid mu 1,100 leabhraichean fhoillseachadh gach bliadhna, ann an dùthaich le dìreach 320K duine a’ fuireach innte. Ga chur an coimeas, tha mu 58K labhraiche Gàidhlig againn, agus can gu bheil 29K (an dàrna leth) litearra sa chànan, nam bitheamaid a’ foillseachadh aig an aon ìre, thigeadh mu 100 leabhar Gàidhlig a-mach an clò gach bliadhna. Tha sin craicte! 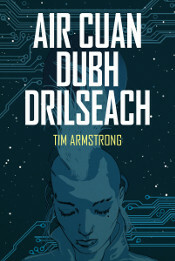 Tha mise ag iarraidh 100 leabhar Gàidhlig ùr gach bliadhna. 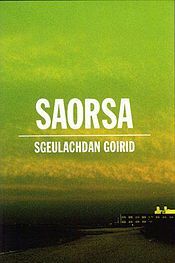 Saoil, dè tha na cnapan-starra as motha a tha gar bacadh? 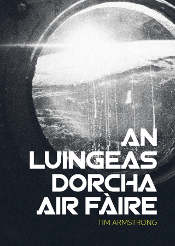 Cia mheud duine a tha “litearra sa chànan” gu dearbh? Dhea, is e tomhas a tha sin, agus gu dearbh, tha iomadh ìre de ‘litearra’ ann. Cia mheud labhraiche Gàidhlig a tha comhfhurtail nobhail a leughadh sa Ghàidhlig, no a bhiodh comhfhurtail nobhail a sgrìobhadh? Is e àireamh na bu lugha a bhiodh ann gun teagamh. Tha coltas mar air na leabhraichean sin. Chì mi gu bheil saga air an liosta. Chuir mi crìoch air Njáls Saga o chionn greis agus chòir e rium gu mòr.